Born with Ventricular Septal Defect. Underwent open-heart surgery (VSD closure) at the age of 2. Abdel Baset now lives in Ersel with his siblings and widowed mother. Born with Atrio-Ventricular Canal Defect. Underwent open-heart surgery (AV Canal repair) for total repair at 6 months of age. Amal is an energetic toddler today, living in Majdelaya. Born with Jervell and Lange-Nielsen syndrome, associated with hearing loss and long QT syndrome (electric heart condition). 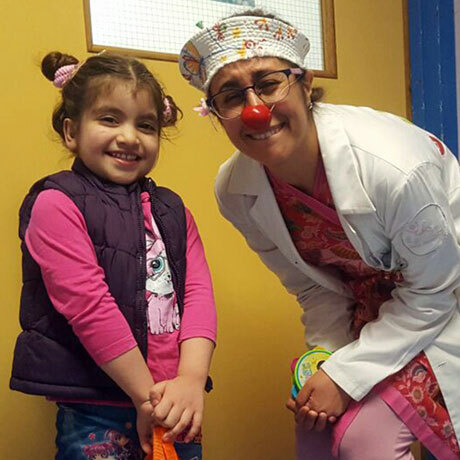 Fatmeh had an emergency ICD defibrillator insertion at 4 years of age. She lives in the Beqaa, and loves to impersonate adults and to cook with her mother. Born with Patent Ductus Arteriosus. Underwent PDA Device Closure for total repair at 8 months of age. 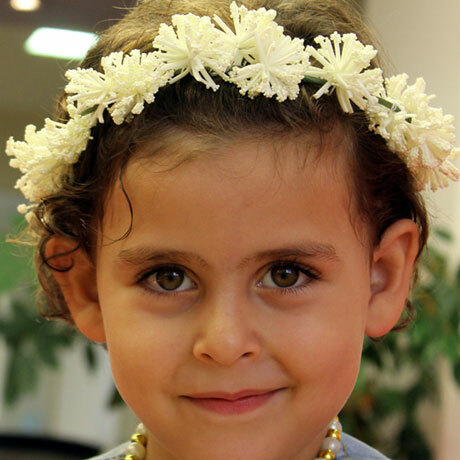 Hala is an active toddler today, living in Damour. Underwent open-heart surgery (VSD closure) for total repair at 6 months of age. Hayan is a very playful toddler today, living in Jounieh. Born with Pulmonary Atresia, Ventricular Septal Defect, and complex Great Artery arrangement. Itaf had open-heart surgery (VSD Closure & Conduit) at the age of 14. She lives in South Lebanon. Born with Tetralogy of Fallot. Underwent open-heart surgery (TOF Repair) at 3 months of age. 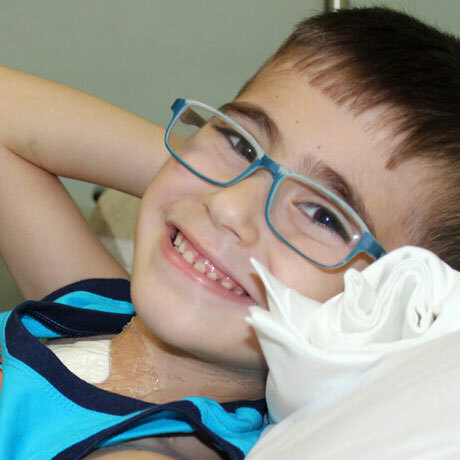 Jude lives in Beirut, and his growth rate has improved significantly after the surgery. Born with Double Outlet Right Ventricle & Ventricular Septal Defect (severe Tetralogy of Fallot variant). Underwent open-heart surgery for total repair (Rastelli procedure) at the age of 8. 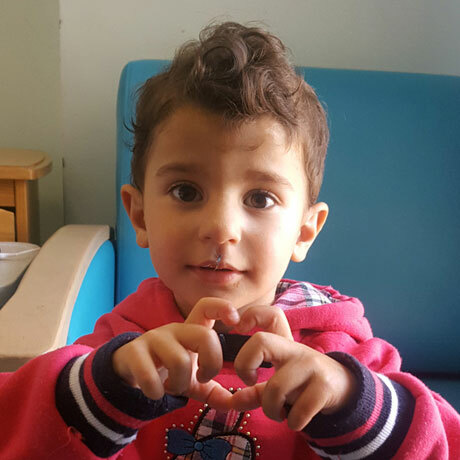 Kusay had his first heart surgery at the age of 2 in Syria. He now lives in Nabaa. Born with complex congenital heart defects (Tricuspid Atresia, Hypoplastic Right Ventricle, Pulmonary Atresia). Underwent 2 consecutive heart surgeries and an interventional catheterization procedure as a baby. 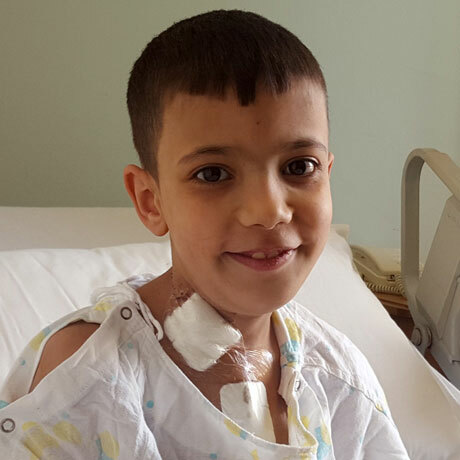 Mehdi also underwent open-heart surgery (Fontan procedure) at the age of 5. 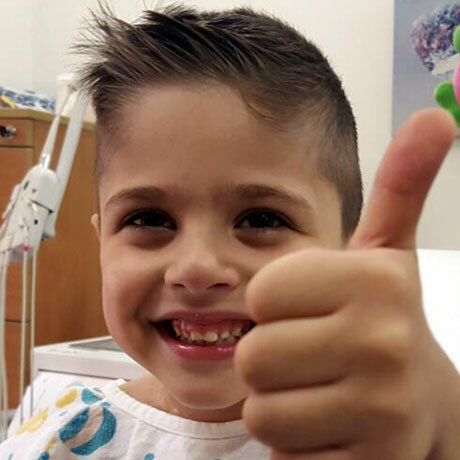 Mehdi is very inquisitive and upbeat about his treatment. He lives in the Beirut suburbs. Born with Atrial Septal defect. Underwent ASD Device Closure (an interventional catheterization procedure) at the age of 6. 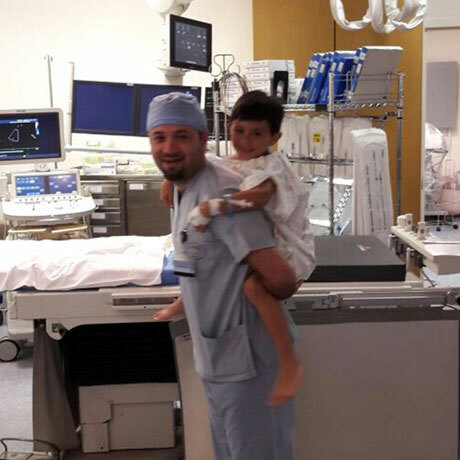 Mohamad’s happiest moment at the hospital was riding on the doctor’s back. 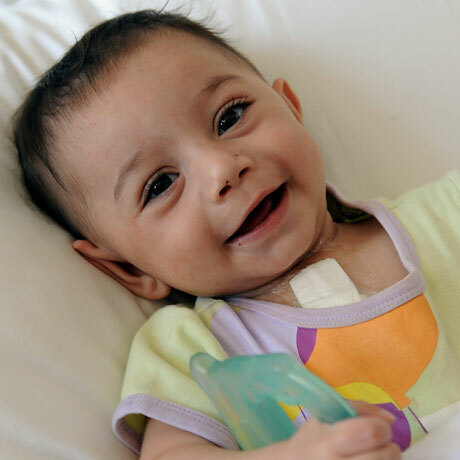 Born with the heart on the right side, a Single Ventricle, among other complex congenital heart defects. Underwent two open-heart surgeries; at the age of 1 and at the age of 5, respectively. Mohamad lives in the Beqaa. 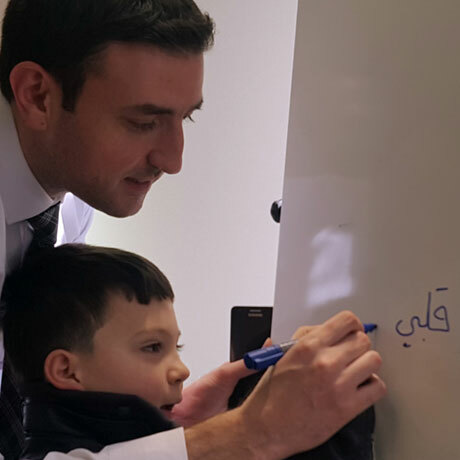 He is a fan of Dr. Bitar and loves to collect his photos. Born with critical Pulmonary Valve Stenosis and Tricuspid Insufficiency. Underwent closed-heart surgery at birth and an interventional catheterization at the age of 6. The catheterization, which included a balloon and a device to close his shunt, spared him an open-heart surgery. He was home two days later! Mohamed lives in Beirut. Underwent her first heart surgery soon after birth. 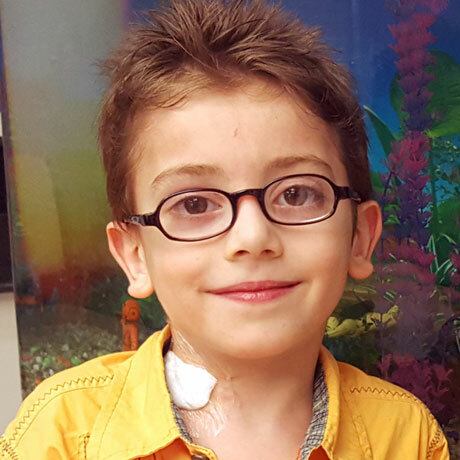 Nerjus also had a pacemaker insertion at the age of 3. Nerjus, who lives in Baalbeck, is very talkative and loves singing. Born with Single Ventricle Defect and Coarctation of the Aorta. 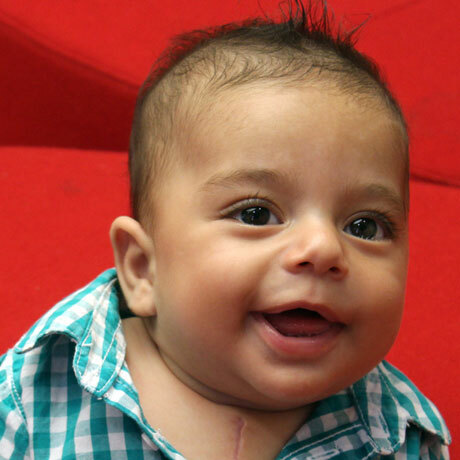 Underwent 4 heart surgeries since birth, the last of which was an open-heart at the age of 3. 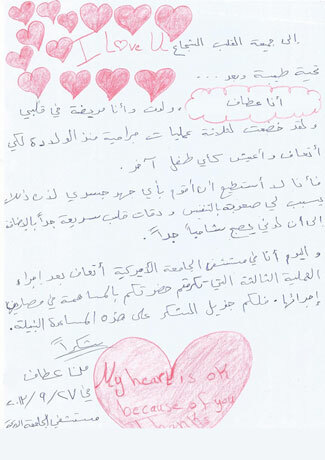 Rahaf lives in Akkar and regularly sends voicemails to her favorite doctors at the Children’s Heart Center. Born with Tetralogy of Fallot variant and Subaortic Membrane. Underwent open-heart surgery at 6 years of age. Wissam’s mother passed away in Syria. 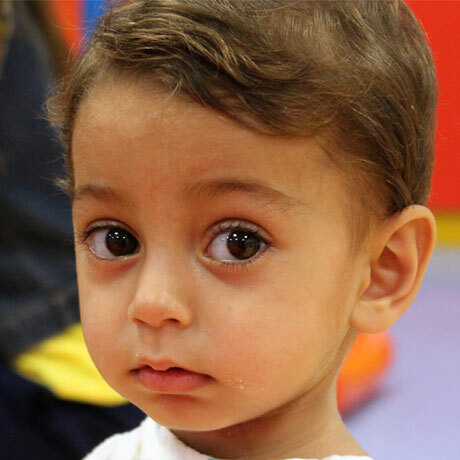 He currently lives in the Beqaa and keeps fond memories of the hospital playroom and the Children’s Heart Center team. Born with Tetralogy of Fallot and multiple Ventrical Septal Defects. 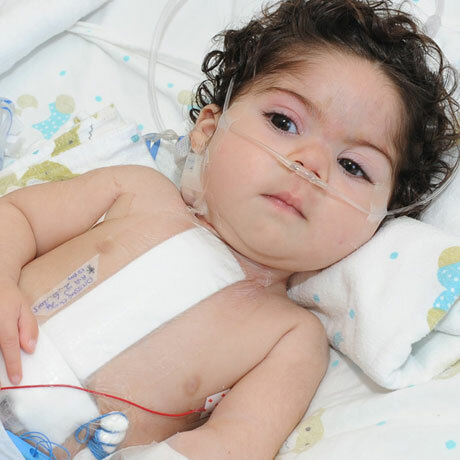 Underwent 3 surgeries since birth, as well as an interventional catheterization procedure at the age of 5, which spared her an open-heart surgery. 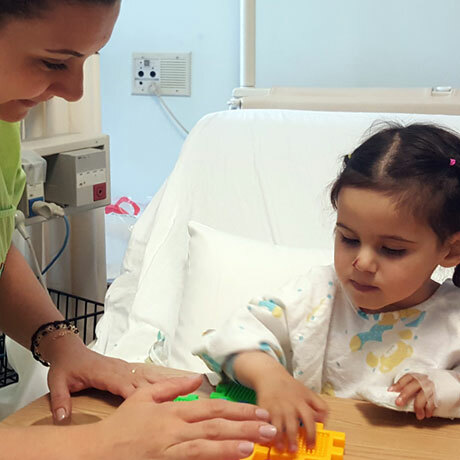 Zahraa lives in Aramoun and keeps in touch with nurses Hoda and Farah at AUBMC.